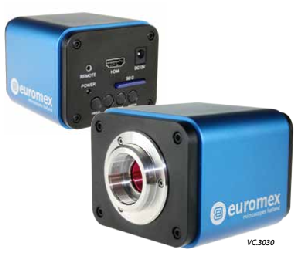 The Euromex HDMI Digital cameras are equipped with a CMOS sensor, removable SD-card, a mouse to select the camera parameter set-up on screen, C & CS mount connections and dual USB / HDMI port. 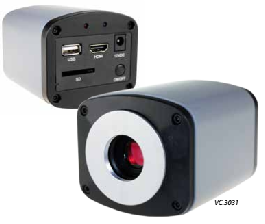 The camera offers the highest quality images through a simple connection to projector, TV monitor or PC monitor. 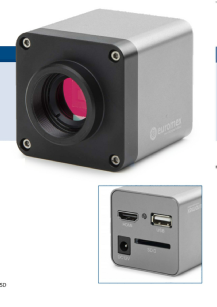 This innovative system provides live video images in high definition (Full HD 1080p), the ability to record photos and videos directly to the SD card or connected to a PC to use the IMAGE FOCUS 4 software supplied.